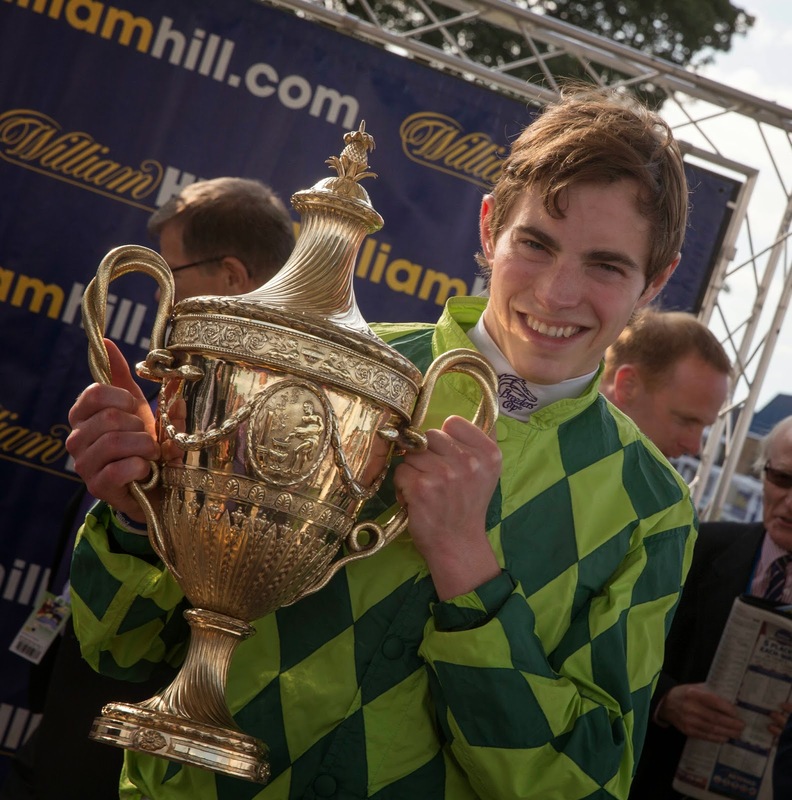 JOCKEY James Doyle was the star of the show at the 2014 William Hill Ayr Gold Cup Festival at Ayr Racecourse, winning both the Gold and Silver Cups. The southern based rider steered last year’s big race runner-up Louis The Pious to land gold, around an hour after he tasted silver success on the Roger Charlton trained Huntsmans Close. He wrote his name into the record books when Louis The Pious won, as no jockey has achieved the double before, and he showed his delight as the David O’Meara 10/1 chance crossed the line. James also captured the opening race, the QTS Handicap on Power Play for Richard Hannon, making it a treble on his first visit to the track in seven years. Graham Lee was another jockey at the top of his game, riding Dark Reckoning to win the William Hill Firth of Clyde Stakes for trainer Ann Duffield at odds of 25/1 and then partnering the Saeed bin Suroor trained Sky Hunter, the 9/4 favourite, to land the William Hill 80th Anniversary Book Launch Doonside Cup. And Graham was also among the winners earlier in the week, winning the Nursery Handicap on Roosey for Willie Haggas on Friday and landing the Wallace McDowall Handicap on Orient Class on Thursday. 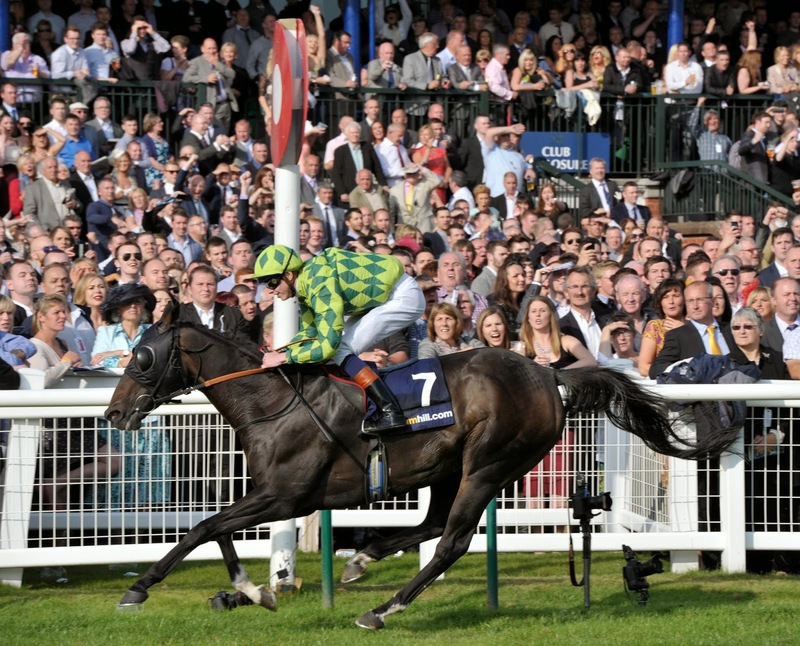 Keith Dalgleish was the only Scottish trainer on the scoresheet –Harrison’s Cave, ridden by Joe Fanning, won the Grants Fruit Merchants Prestwick Handicap on Thursday, and Beautiful Stranger took the Enterprise Screen 10 Years of Video Handicap on Friday. Thursday’s prestigious William Hill Handicap for the Kilkerran Cup was won by Fire Fighting, trained by Mark Johnston and ridden by Joe Fanning. The glamour gauge was turned up a few notches on Friday – Ladies Day and the final of the ladies competition was held in conjunction with the William Hill Ayr Bronze Cup with each finalist during the name of a horse running in the race. As the 24 runners hurtled down the home straight the screams of the girls watching just yards from the winning post grew louder and louder and it was New Cumnock girl Claire Young who was shouting the loudest as Expose crossed the line in front. Claire won the star prize – a Vauxhall Adam car courtesy of Kerr & Smith. Llindyn Bollenhagen from Ayr won a holiday to Dubai courtesy of Stewart Travel and Emirates Airlines and Kelly Anderson from Kilmarnock was third winning cosmetic treatments from Coast Clinic. Almost 12,000 people packed the stands on Saturday and they were treated to a fabulous day of sunshine. In all over the three days 20,000 attended the racing boosting the local economy by millions. Ayr next races on Tuesday 30 September - September Finale Raceday and the feature race of the day is the £15,000 Betfair Scottish Racing Mile Series Final Handicap. The first race is due off at 2.10pm with the last race at 5.30pm. For more information on racing at Ayr go online at www.ayr-racecourse.co.uk or call 01292 264179.